looking to do a TBI to MAF TPI swap to fix my 88 IROC. Started my own thread https://www.thirdgen.org/forums/tpi/...ml#post4094963 opinions and advice would be greatly appreciated. Everyone please cross there fingers and pray for me, I'm going to try this over the weekend. And what happened to steps 4-8? Splice the right bank injector wires to 4 injector plugs. All the grounds go together to one wire, all the positives go together to the other wire. Now, splice the left bank in place to the left 4 injector plugs. If using TPI plugs, the green plugs go on right side, the red plugs go on left side. Remove the ESC module. Cut the connector off, and splice wires C and E together. Tape up, and hide someplace neat. Connect MAT, TPS, CTS, and IAC. Extend wires if needed. Anesthes you are the man you have saved me and I think alot of people time and money, THANK YOU!! From memory and reading the table, BD6 and BD7 is the grounds the ECM uses to fire the two injectors, so you need to tie them into the body some where. D1 is already grounded, so you could splice it there. (although in theory you could run the risk of running too much amperage for the gauge of wire). Just splice them to a black wire, and screw it into the body/frame under the dash. E8 runs the fan. Just run that to the green wire on the fan relay.. the fan is controlled by the ECM on the '730, not the switch in the cylinder head. D6, and D7 need to go to a ground or your injectors will not work, and you will get a 'no start' condition. ok....so I hate to sound like complete retard but I have an 87 Z with a 305 tpi thats MAF setup right now....and MAFs are expensive and mine is bad of course, so I was contemplating going to a later model 91 or 92 SD swap, I have a spare 91 tbi car complete with harness and '730 ECM....is the stock harness on the 91 the '746 everyone keeps referring to? Would I just refer to the above instructions and charts? 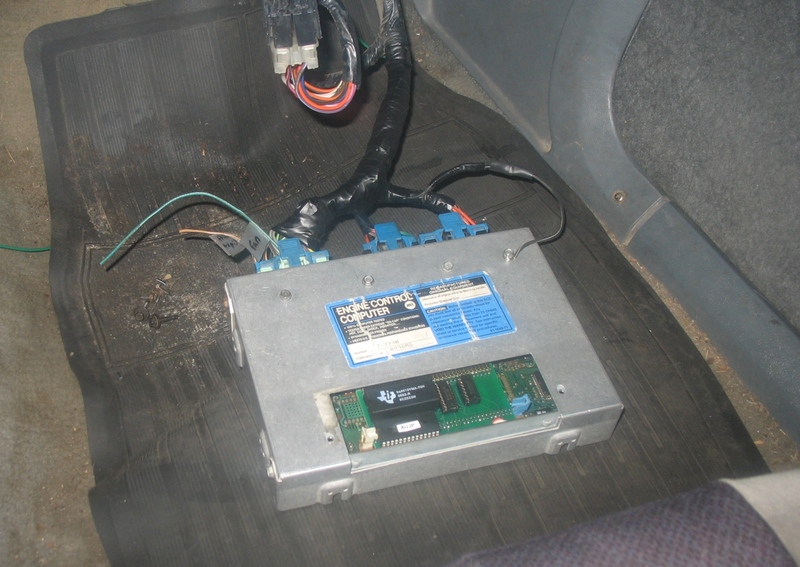 Also my car has a cable type speedo, would I still need to follow the instructions about the VSS buffer box? I realize the major difference is a magnetic pickup coil going through an analog to digital converter as opposed to an optical hall effect that just outputs a digital signal. I'm a student out at wyotech and I've been through EMS so I am familiar with what all the sensors do and how they work, just not familiar with the GM numbers on ECMs and harnesses...sorry if this is a repeat question. Ok I think I have it now, I Thank You and my 91 Formula Thank's You. I heard no mention of this in this thread, do they need to be changed or is there a way to make them work? Sorry. I was more getting into the specifics of the wiring when I first wrote this post years ago. You, along with whatever new induction you get (hsr, tpi, singleplane, etc) you would need the correct throttle cable and TV cable if you have an automatic. When I did my swap, I used a singleplane manifold which puts the throttle body in the same location as a TBI car, so the stock cable would be fine. Good to see this thread is still getting hits years later. This is an awesome thread. In fact, I'm planning this swap on my 1988 C1500. I'll let you know how it goes. I have to give you a big for putting this together. This is probably the best thread I've ever found on TGO. Thanks Joe for creating this and answering questions about it for the past however many years! And Ruiner, No problem glad I could be of some sort of assistance. Maybe I'm going about it backwards, but I have a TPI motor, moved a few pins on the harness and am running a 7747. It's still not on the road yet, but should be in a month or so. I also had to add a MAP. Anyone have a "re-pin" chart to go from a 7747 Ecm to a 7730? Last edited by 310cid; 03-05-2010 at 11:21 PM. Injectors are batch fire. So all 8 injectors, just need power and ground. The power is supplied by the fuse block, you will find two of the wires going to the old TBI injectors have power. The other two wires from the old injectors go to the ECM, which provide a pulsed ground to fire the injectors. Last edited by 310cid; 03-07-2010 at 02:14 AM. I don't remember the colors. It's been 7 years. The ECM provides the pulsed ground - that is what makes the injector fire. The power is constant, and goes to the fuse block. If you get a whole v8 injector harness, you'll have 8 injector plugs, a bunch of wires, which are all wired together and somehow end up with 2 or 4 wires. The positives go together, and the negatives go to the negative feeds from the ECM. Last edited by 310cid; 03-08-2010 at 01:33 AM. I have a 1988 trans with a 305. When i set the timing at factory specs, The engine hesitates then takes off. When I set the timing at say 8 to 10 degrees BTDC, the engine backfires thru the intake. So basically no matter where I set the timing the engine runs crappy and I get no engine check lite or codes. You have four wires to the old injectors. Two of them should show power with key on. Connect those to the two wires with stripes on them from the donor v8 injector harness. Connect the other two to the ECM. Now when you look at each injector connector, one side should have power with key on. Does this have anything to do with you swapping to TPI? Your problem is fuel starvation I'd guess, but I'd still like you to start a new thread. No, you need the '90-92 prom. The '89 uses an esc module, the '90 has the circuitry for that on the prom, plus the memory locations for the starting point and all that are different, and the program itself is intended for the pinouts of the '89 harness which differs GREATLY from the '90+. Last edited by Contrail; 04-11-2010 at 04:03 PM. I never intended on someone using the '730 fbody speed density ECM to controll cross fire.. If you are intending on keeping the two throttle bodies (and two iacs), I'd suggest trying dynamicefi. RRob should be able to help you. No, i don't want to keep both Throttle Bodies, I'd rather go straight TPI, was hoping this was an option to having to get an aftermarket harness, but I guess not. Painless has one for almost 400 bux, but that seems kinda steep. Anyone know of a more affordable alternative? I have the complete set up ready to go, just was hoping to do a pin swap to control it. CFI is nice, but not very well supported, so I want to move away from it to a true TPI system and use my existing harness if possible with the '730 ecu I have. Last edited by Contrail; 04-13-2010 at 06:07 PM. In that case, you should be able to perform the repin, but you're going to want to find a corvette schematic first and figure out the pinouts from there. I imagine there will be a hand full of left over wires. The negative side of the injectors go to the ECM. The hot side goes to those power wires. So you had your old injector plugs right. One side was positive, the other side went to the ECM on I think D14 and D15. You simply move those to C11, and C12 on the new '730 ECM. Now on the engine side, you just wire all the negatives together to one negative wire to C11, and all the negitives on the other bank to C12. Power comes from the fuse block. The pink and black striped wires are the hot wires on the tpi harness. On the TBI harness the hots are red and white. green and blue on the tbi injector wires are ground. 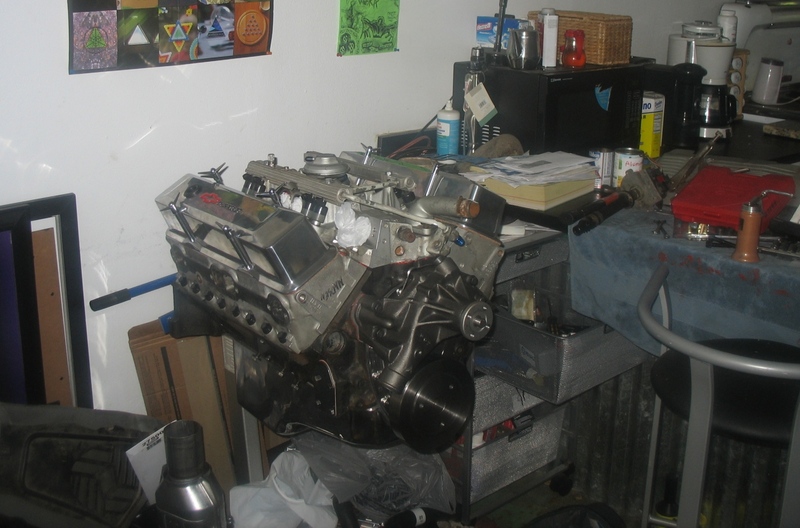 Make sure you get a 90-92 V8 Memcal with the swap or the engine will run very rough with the v6 memcal. However there is a way to turn the v6 memcall into a v8 one by grounding a pin on the chip itself. However I do not reccomend that route unless you are set up to tune the vehicle being that the v6 tune is not sufficient for the 5.7 tpi motor. Oh and thanks again Joe!!! My swap is running!! Turns out I had a bad maf and I just happened to have everything already to convert to SD. Did it the 749 way cause I plan on a procharger kit at 10 psi. Thanks to you man my 71 chevelle has a new heart! I have a 92' RS TBI that I put a 350 in place of the 305. Now I'm getting ready to switch to TPI but I bought an ECM for a 1990 TPI Corvette. It's a 727 ecm. Can I use the same chart for this ecm from my 746 instead of a 730 or? Hrmm.. No but if I have time this week I'll make a new chart. Honestly, I'd keep the memcal and swap the memcal into a '730 ecm, and sell that weatherpack ECM on ebay. It's worth WAY MORE to a corvette owner than it is to use, and because it uses weatherpack connectors it's more trouble than it is worth. Keep the v8 memcal however! '730 ecm's were in just about everything so you should have no trouble finding one in the junkyard. I have a 1990 tunedport intake and custom wiring harness speed density that i'd like to use on my 1994 GMC sierra, how will this work together and what about the 4l60e trans. I have a 92' Camaro and my memcal is from a 90' Corvette. AZ TPI said that I have to get the Vette memcal's vats disabled. Is this true? I'm getting ready to do this swap and this is a big speed bump cause they want 150 dollars to disable it for me. I thought because I have a 92 that it would be fine. Am I wrong? Or will I be ok not having it disabled?